The ARCHLine.XP building elements automatically comply with the changes in your design. 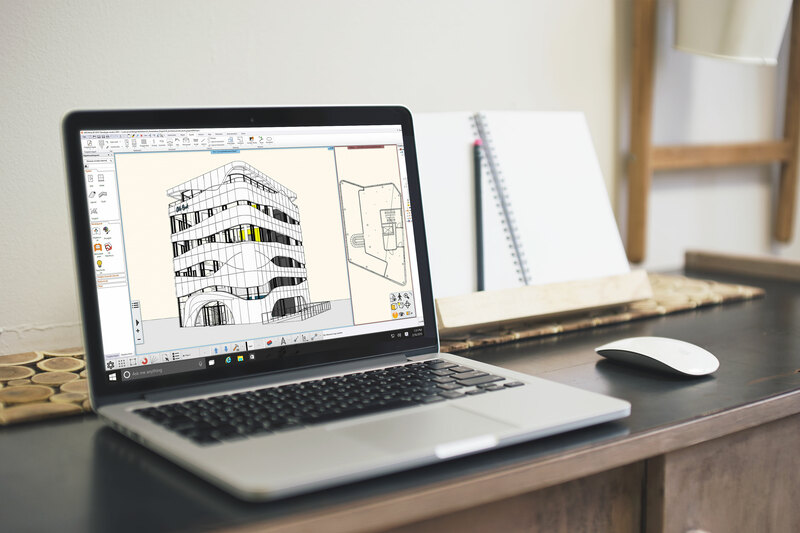 ARCHLine.XP coordinates the changes through the entire project. This means more coincise and more accurate design. The Teamwork tools makes available to work on the same project with your colleagues together. Every part of your project updates automatically, so that the plan and the documentation are one coherent unit through the lifecycle of it. Design phases allow managing the existing state and the new construction plan at the same time. Wide array of file imports/exports: RFA and RVT (Import), IFC, SKP, DXF, DWG, PDF, OBJ, 3DS, JPG, TIFF, BMP, PNG, GBXML. We are trying to answer your questions, requests, and problems as quickly as possible. Our office is open from 9.00 am to 5.00 pm every weekday.